I think I said this then I reviewed vol. 1, but Ian McNeice’s Churchill was already perfect. How does he then keep making it better? 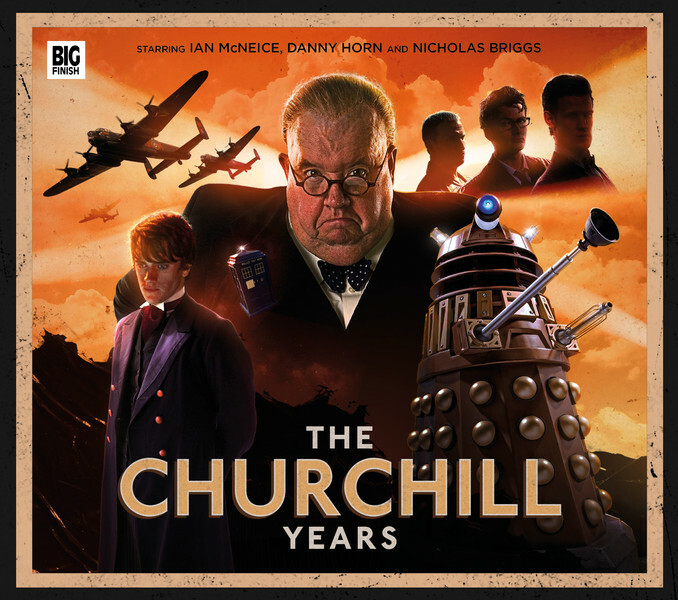 However he does it, he has outdone himself again in this 2nd audio volume of Churchill’s Doctor Who world adventures from Big Finish. Big Finish continue to expand their range and it’s another box set to take place in the ‘new Who’ era. This set see’s Winston Churchill, played by the ever entertaining Ian McNeice, meeting up with 3 of the Doctor’s incarnations throughout his life time over 4 adventures.